For India’s friends, a new outreach is in the offing. For India’s adversaries, new red lines are being drawn. Non-alignment – now that’s a word few have heard coming out from India over the last few months. India’s Congress Party, which was decimated in the May 2014 elections, is celebrating the 125th anniversary of Nehru’s birth with a major conference on November 17 and 18 highlighting Nehru’s worldview. 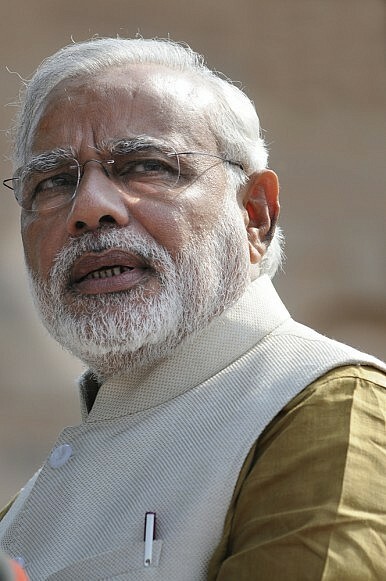 And India’s new prime minister, Narendra Modi is not invited, for Congress claims that he is hell-bent on dismantling Indian foreign policy’s Nehruvian legacy. One of the legacies that Modi has indeed gradually dismantled since coming to office is India’s default foreign policy posturing of non-alignment. Moving beyond ideological rhetoric, Modi is busy engaging confidently with all major global powers without inhibitions. The foreign policies of nations do not alter radically with changes in governments, but with the backing of the Indian electorate’s decisive mandate, Modi today has an opportunity to bring about a realignment of Indian foreign policy priorities and goals. In his first few months, Modi has defied many expectations and confounded his detractors and supporters alike. On the economic front, the government is only now coming into its own, as its recent spate of decisions underlines. But on the foreign policy front, remarkably for a politician who was considered provincial before elections, Modi hit the ground running from the very first day. On the security front, there is a new purposeful response against China with a focus on more efficient border management and defense acquisitions. Modi has reached out to the U.S., despite his personal grievances over a visa denial by Washington when he was the chief minister of Gujarat, and there is a refreshing focus on immediate neighbors. The manner in which evacuations from Iraq were handled earlier this year as the threat from the Islamic State gathered pace showed a government that is operationally well-prepared. The Modi government has been more hard-nosed about Pakistan and is not backing down in face of Pakistan’s escalatory tactics. So the larger picture that is emerging in the first few months is of a government that is not as risk averse as previous governments and will be willing to take risks should the need arise. With India’s immediate neighbors, there are certainly signs that there is a new dynamism in bilateral ties as New Delhi is putting renewed emphasis on revitalizing its regional profile. India’s neighbors, barring Pakistan, are certainly looking at India with a new sense of expectation. New Delhi now has to operationalize the aspirations that have been articulated. Recognizing that the implementation phase has always been a problem for Indian credibility, the Modi government is focusing on completing projects in its neighborhood that are already in the pipeline rather than announcing new ones. On its engagement with Pakistan, the Modi government has decided to take a gamble by resetting the terms of engagement. It is a move that was probably long overdue but it is not clear what India’s options are should this gamble fail. Given Pakistan’s internal turmoil, this perhaps doesn’t matter in the short-term but India needs a long-term policy that focuses on primarily managing the national security risks emanating from Pakistan. It would do great damage to Modi politically if his government is forced to talk to Pakistan once again as in the past under global pressure in case of another Indo-Pak crisis. Afghanistan will be a critical challenge with the departure of western forces from next month. India will have to articulate its own role more cogently. It has immense goodwill in Afghanistan that it can leverage but that would mean stepping up its security role. Can the Modi government go beyond what the previous government has done on the security front? This will be critical as the Modi government has made the immediate neighborhood its priority and India’s reputation as a regional security provider will be under scrutiny. The biggest strategic challenge for India remains managing China’s rise. The Modi government has concluded that the need of the hour is the right balance between enhancing economic and trade ties with Beijing while building a deterrent military might. Chinese President Xi Jinping’s visit to India in September turned out to be a damp squib and China may have lost an opportunity to generate goodwill with the new government. The Modi government is trying to increase its scope for diplomatic maneuvring vis-à-vis China by building substantive ties with states like Japan, Vietnam, and the United States. Modi’s visit to the U.S. in September was an attempt to bring Indo-U.S. ties back on an even keel after the disappointment of the last few years. India managed to put its defense ties with the U.S. back on track after the previous Indian government’s mismanagement. Modi seems to be redefining the terms on which India is likely to engage with the world in the coming years. Pragmatism coupled with a more confident assertion of Indian interests is likely to be the hallmark. He is not shy about reaching out directly to new constituencies such as the Non-Resident Indian (NRI) and business communities in other states. For India’s friends, a new outreach is in the offing. For India’s adversaries, new red lines are being drawn. Most significantly, Modi is giving every indication that he has no time for the meaningless rhetoric of “non-alignment.” He will work with anyone and everyone to secure Indian interests, the most important of which for him is to take India on the path of rapid economic growth. Foreign policy, in his worldview, is another instrument to serve Indian domestic priorities. For Modi and his government, however, the biggest challenge will remain to move away from an overly personalized foreign policy towards a more institutionalized foreign policy and national security decision-making, a weakness that previous governments have failed to tackle. Gurdaspur, Pathankot, and Now Uri: What Are India's Options? Once again, Indian officials are blaming Pakistan for a terrorist attacks. What options does Delhi have?